A sofa is definitely one of the most important pieces of furniture in your home, for everyday living and not to mention, a home centerpiece! 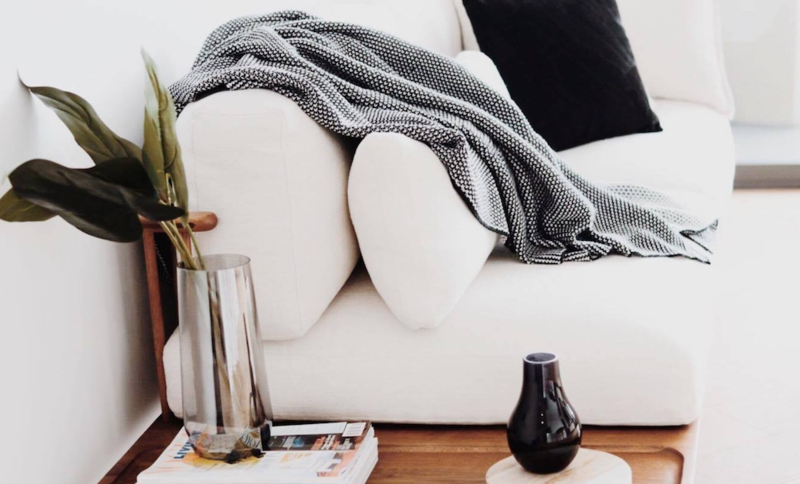 On top of being the most used item of furniture (on average, we spend something like 10 years of our lives sitting on a couch), it is also the most seen piece of house guests and quite an investment. So it better be chosen wisely. 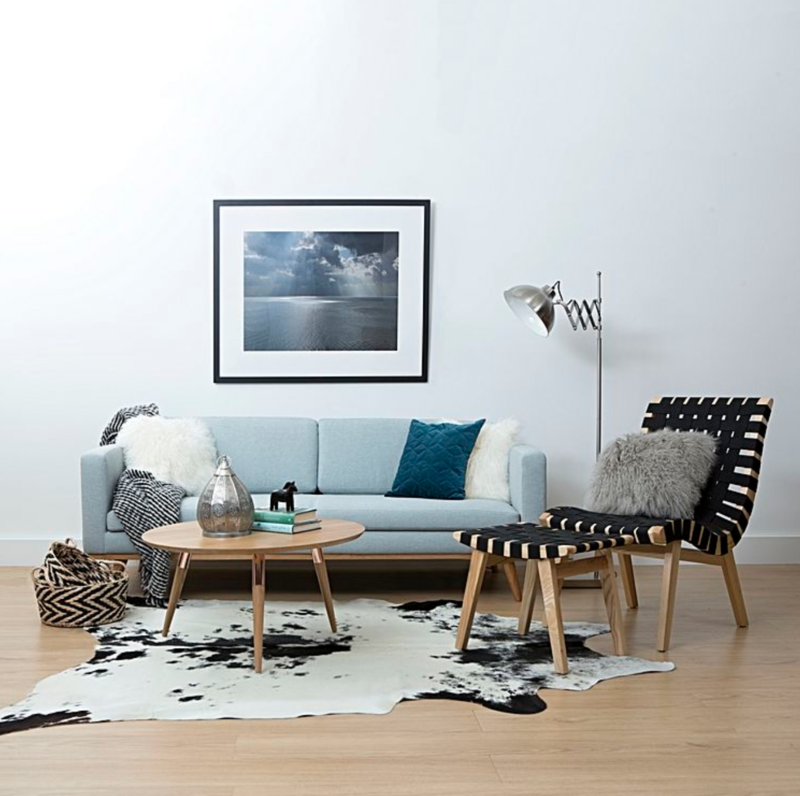 Keen to upgrade to a brand new couch but not too sure where to start? We’ve asked Milray Park Interior Designers aka the decorating experts to give you their best tips and tricks on choosing the best lounge for your home! #1 Where all new sofa journeys should start! 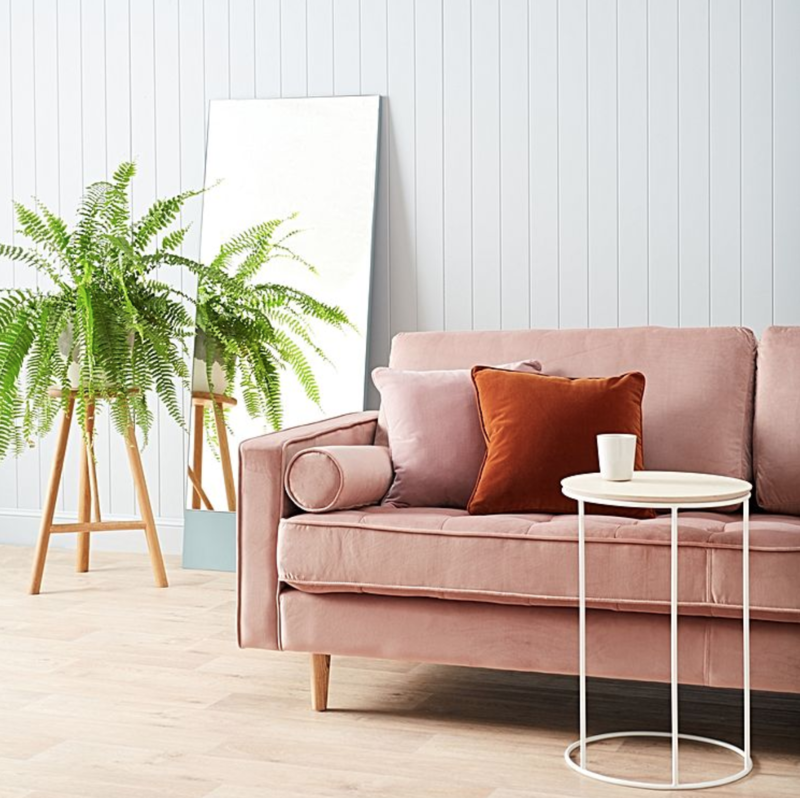 Before you even think of heading to the shops/browsing online to start your sofa selection journey, it’s imperative to know the answers to a few essential questions. For this, you’ll be wanting to look at your room, map out the space and determine what shape/style and material of sofa you are after and what size it should be. 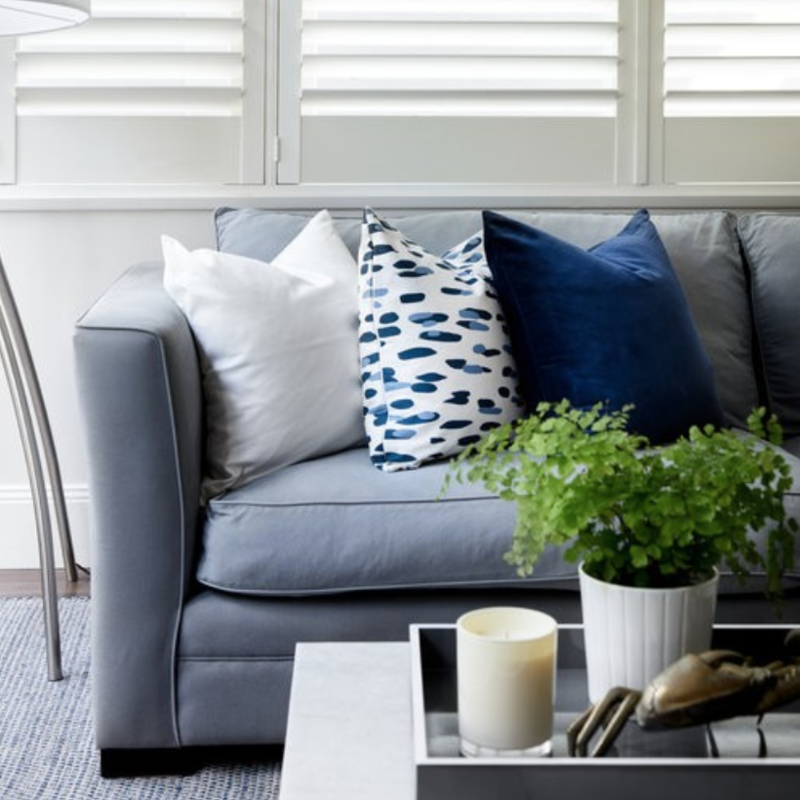 There is a huge choice of couches on the market, so it’s important to start by making a list of your requirements – determining what you want your sofa to do for you is the essential starting point, explains Milray Park Designer Liz Hayward. 1. How often do you use your sofa and what will you primarily using it for (Reading, napping, lounging, watching movies or all of the above!)? 2. How many people will be using it? 3. Which room is this sofa for? 4. Do you want this sofa to last for many years, or are you after something for a couple of years only? When it comes to picking the perfect sofa, size matters, according to Milray Park Designer Monica Bean. Picking a sofa that is the wrong size for a room can be fatal to the outcome of your space! Too small and your sofa will be out of proportion with the rest of the room. Too large and you risk making the room feel overcrowded and uncomfortable. Both errors can strip a room of its functionality and your everyday comfort. Always, always measure up your space to ensure there is ample room to move in and around your sofa, in the room. It’s all very well and good if your sofa fits nicely in the room, but don’t forget to make sure it can actually get there! 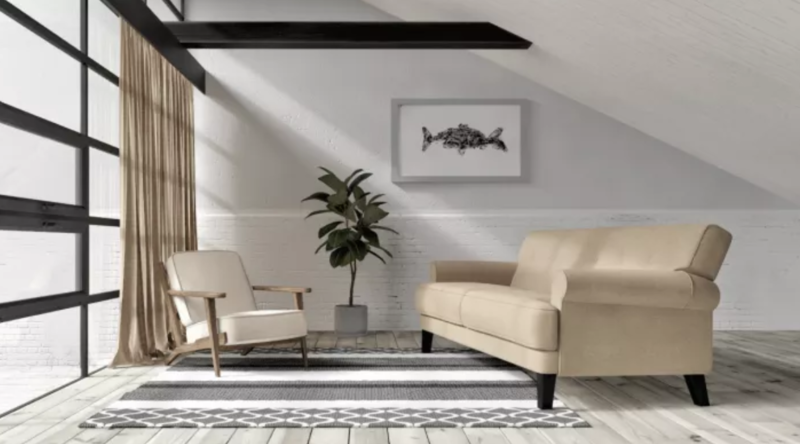 Measuring doorways, halls and lifts (especially important if you live in a multi-story apartment) will ensure your dream sofa will fit your space regardless of tricky access – Milray Park Designer Monica Bean. The style of sofa you choose should complement the style of your home, its characteristics features as well as your personal preference. Sofa Styles: Chesterfields, Tuxedo, Mid-Century, Day-Bed, Roll Arm or Classic? It is important to select the right sofa for your style of home. For example, a more elegant classical style home would be well paired with a slipcover skirted classic sofa with rolled arms, whereas a more modern home may be better suited to something a little sleeker and with cleaner lines – Milray Park Designer Monica. Keep in mind that if you want your sofa to last for many years to come, you should opt for a style that is less dramatic and more versatile, choose something that can work with many different schemes, materials and aesthetics, should you choose to redecorate in the future – Milray Park Designer Jessica. The shape of a sofa is central to functionality and will help you narrow down which pieces will and won’t work. When selecting a shape, it’s important to consider which room in the house this particular sofa will call home. For casual living spaces that have a bit of room to play with, an L-shaped sofa is perfect as you have the option of putting your feet up or accommodating extra guests as and when you need. Modular sofas are also a good option if you are looking for something on a larger scale that occupies minimum space as often times you can add on an extension piece which will extend the width or length of a sofa. It makes them perfect for large areas and gives you the ability to have the whole family in the one room to relax and watch TV – Milray Park Designer Monica. Finally, if you are low on extra guest bedrooms, it makes perfect sense to double up a lounge room as an occasional guest bedroom with the addition of a sleeper sofa. Keen to find out what your interior design style is? Take our short quiz to find out! #3 Fabric Sofas vs. Leather Couches – Which sofa material is best for you? Fabric vs leather is the oldest debate when it comes to selecting a sofa. At the end of the day, there are pros and cons to each, and it really depends on your home and your lifestyle, explains Milray Park Designer Liz. 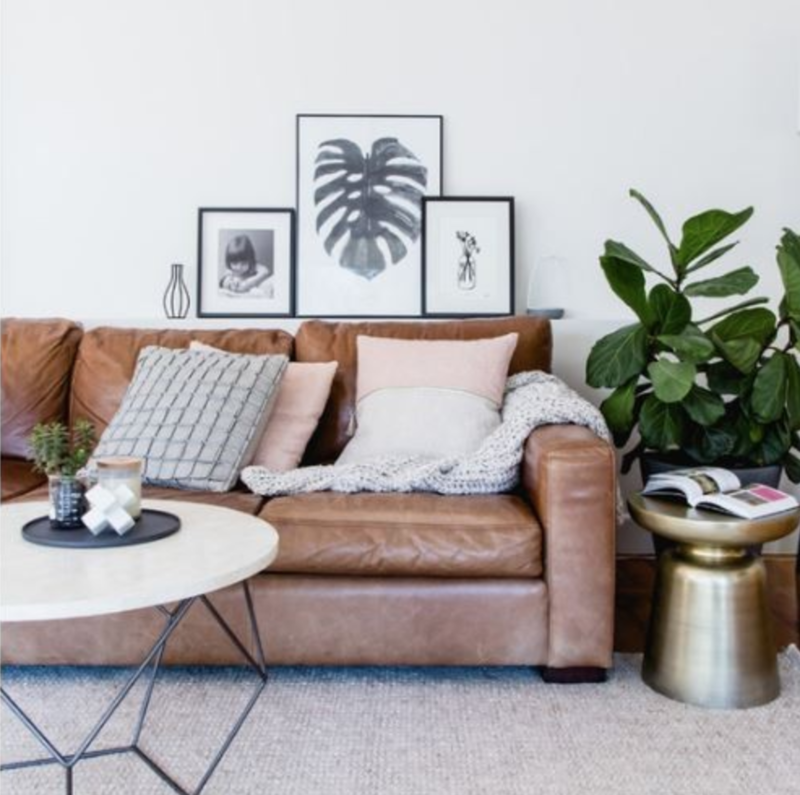 Materials like leather can withstand years of wear and tear, however, a leather sofa may not be suitable for every style of home and in an Australian summer can feel quite sticky and uncomfortable to sit on – Milray Park Designer Monica. A leather lounge can add a layer of luxury and warmth to your space. And if you have pets, leather may be a good option to avoid lingering smells and hair! Likewise, with small children, a leather sofa is much easier to wipe away sticky finger marks or food spillages – Milray Park Designer Jessica. But be careful! If you have a sun-filled home without window treatments then you should avoid leather sofa. Direct sunlight is the biggest enemy of leather and will dry, crack and damage your sofa prematurely – Interior Designer Liz Hayward. If you find leather sofas cold and uninviting, a great fabric alternative would be a cotton and polyester blend or microfibre. These materials are durable, cost-effective, easy to clean and will add extra comfort factor to the feel of your couch – Designer Monica Bean. For anyone with kids and/or pets, washable pre-shrunk fabrics, as well as fabrics with built-in stain repellents, are a god-sent. Fabric technology has come a long way in recent years. There are some amazing durable materials in the market that still have a soft subtle handle to them – Milray Park Designer Liz. Velvet sofas have been seriously trending and they look lovely! However, you may decide that you want a sofa that’s trend-resistant. Then again, curating your dream living room with the perfect sofa is ultimately up to personal preference and purpose of use. 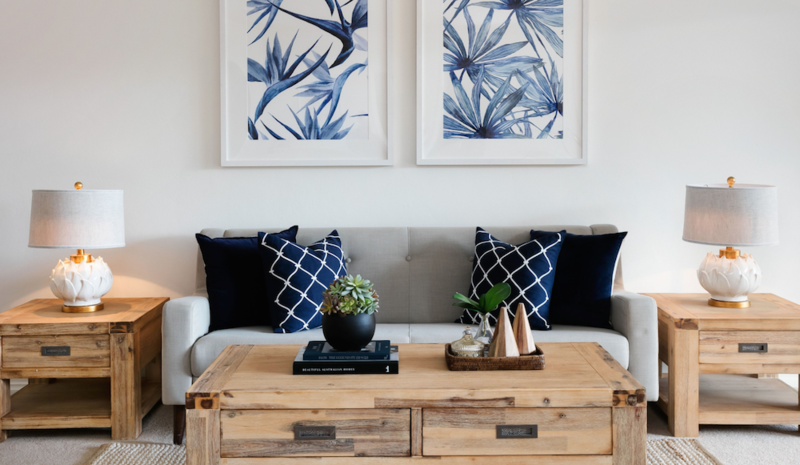 If you are someone that likes to keep up to date with the current interior trends, depending on the size of your sofa and the material you choose, re-upholstering can be a relatively inexpensive option to update and personalise your key pieces of furniture – Milray Park Designer Monica Bean. Considering how a sofa will be used plays a big role in selecting the colour, especially if it is upholstered in fabric. 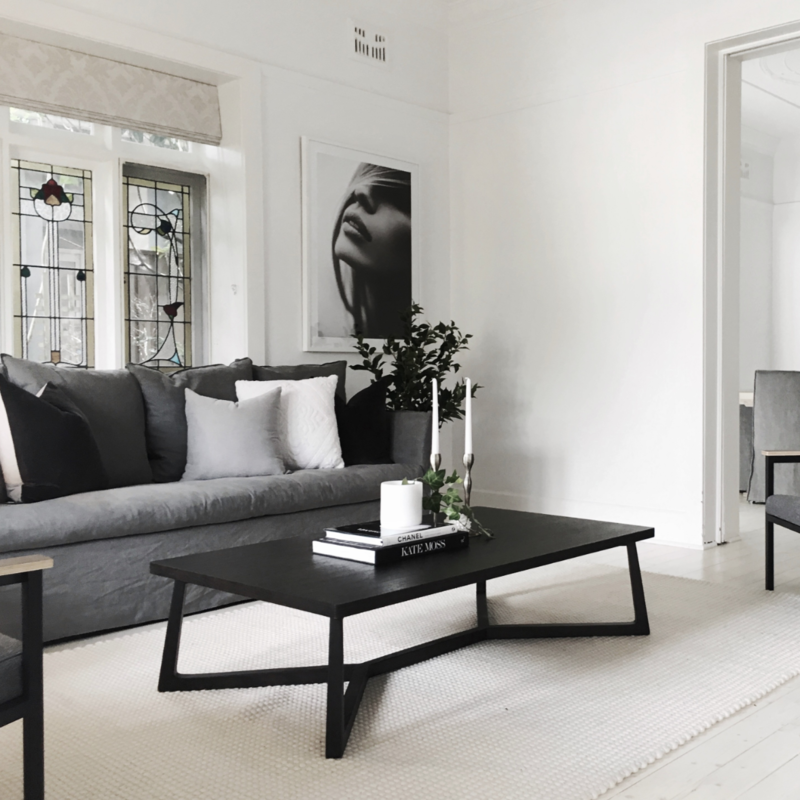 A crisp white linen designer sofa looks timeless and sophisticated but is probably not the wisest or most practical choice for a home with young children, a rumpus room or casual living room with plenty of traffics as it may not stay crisp or white for very long. For everyday living, I would recommend opting for a dark grey, beige of brown fabric. These neutral colours look great in any interior and they are also perfect to hide little spills – Interior Designer Monica Bean. You can always save that white sofa for a special ‘no kids allowed’ areas like the parents’ retreat or formal living room! Decorative cushions can absolutely transform a sofa. 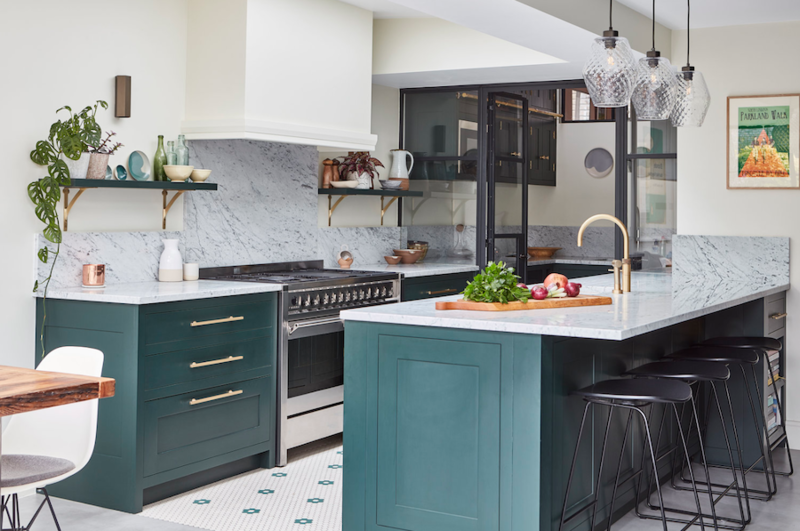 Use this opportunity to express your personality through texture and colour whilst tying everything back to the overall look of the room – Designer Jessica Franklin. The way you position your cushion on the sofa also has a huge impact on the feel of the space. 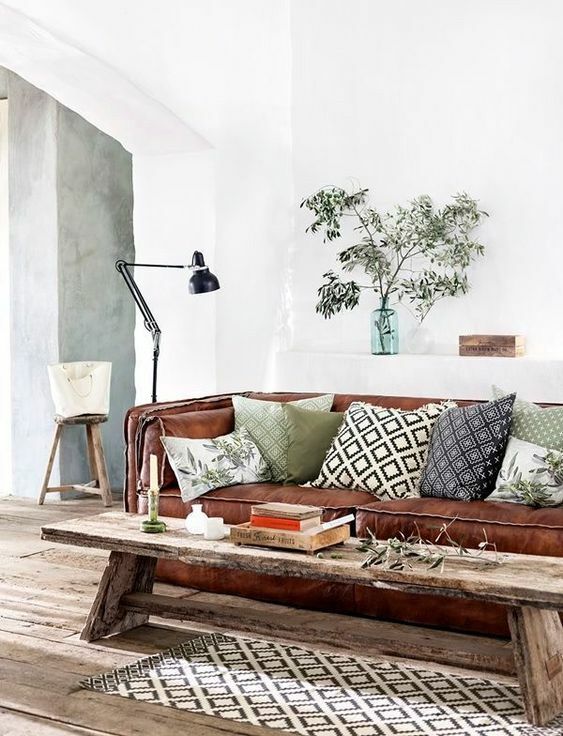 For example, symmetrical cushion layouts provide a more formal feel whilst two or three casually ‘placed’ along the sofa can allow for a more relaxed voice. Finally, don’t underestimate the insert. Feather filling brings a whole new level of luxury to cushions as opposed to cotton filling. They are comfortable to lean against as you literally melt into them and when fluffed up and karate chopped in the middle they bring just the right amount of opulence to any space – Milray Park Designer Monica. Some signs it’s time to replace your sofa are more obvious than others. For example, visible damage to upholstery, either caused by long-term use, pets or spills can be fixed short term by covering your lounge with a large throw or long term by reupholstering your sofa. 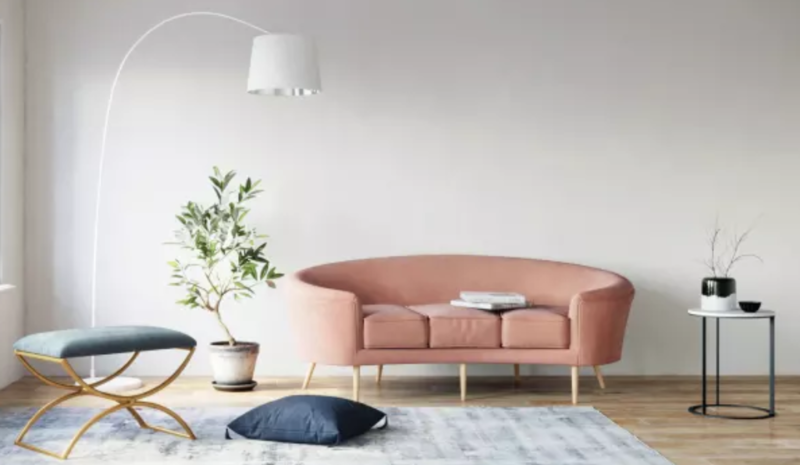 But if the frame is squeaky and unstable or the seat cushions are flat and no longer comfortable to sit on it may be time to reinvest in a new lounge – Interior Designer Monica Bean. 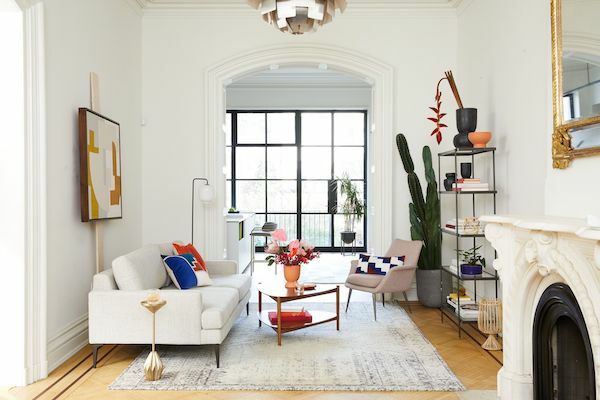 Additionally, as soon as it stops looking like a sofa, and more like something you would see in a dimly lit alley, then it’s time to treat yourself – Designer Liz Hayward. Need some help finding the sofa of your dreams? Milray Park gives all Australians access to personalised interior design services for one simple $299 flat-fee price.